Is there a better place for a party than NYC’s beloved amusement park? 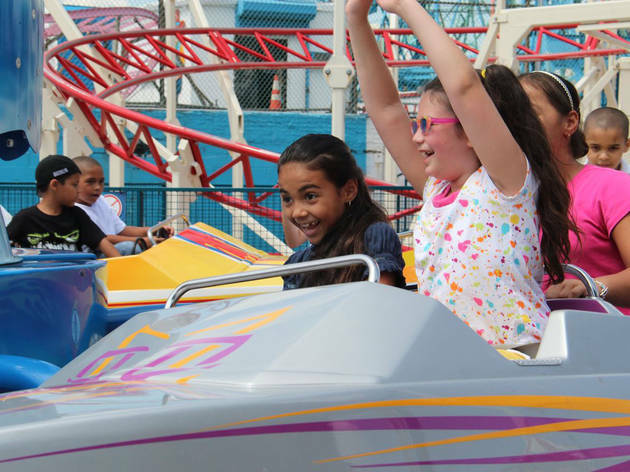 Make your next trip to Coney Island extra memorable with a birthday celebration. Take a spin on mild, moderate and high thrill rides (included in the basic party package) and mild, moderate, high and extreme Thrill rides (in the Deluxe Party package). 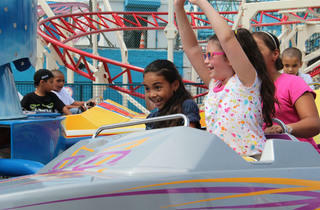 There will be shrieks of joy as kids make their way to and from the Cyclone, the new Astro Tower, the Tickler and more. After they’ve tired themselves out from the thrilling adventure, Luna guests can enjoy refueling in the private party room. Ages 5 and up.